With Systran, you can convert your documents in a foreign language with just a few simple steps. Open the document that you want to convert. With Systran, you can easily convert any type of document such as E-mails, Word, Excel, PowerPoint presentations, PDF files and also entire Web Pages. Select from the menu the language in which you wish to convert the document, whether it’s Spanish or English. Choose further options, including the dictionary and the format that you would like to use. This helps maintain the formatting of your document so it's the same as the original one. With one single click of your mouse you can convert your document to Spanish or English. In just a few seconds the conversion will be completed so all you need to do is save the file and you’re done! What is a Spanish conversion software? 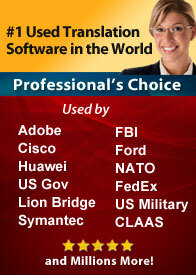 Systran’s software allows you to convert documents faster and easier. It automates the translation process so that you can focus on more important tasks. Aside from that, this is the perfect alternative to expensive translation agencies that usually take so much converting documents to a foreign language. Why you need a Spanish to English conversion tool? Translate any type of document easily and in a matter of minutes. Reduce time and costs. It’s the perfect alternative to hiring professional translators that are both expensive and time consuming. Convert E-mails, Word documents, Excel, Power Point presentations, PDF files and also web pages. Keep formatting the same as the original document and save valuable time. Get highly accurate translations with just one click. 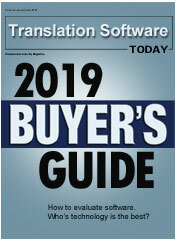 Systran is so efficient and affordable that you will never need another English to Spanish conversion software! So, what are you waiting for? View our packages and get yours today!